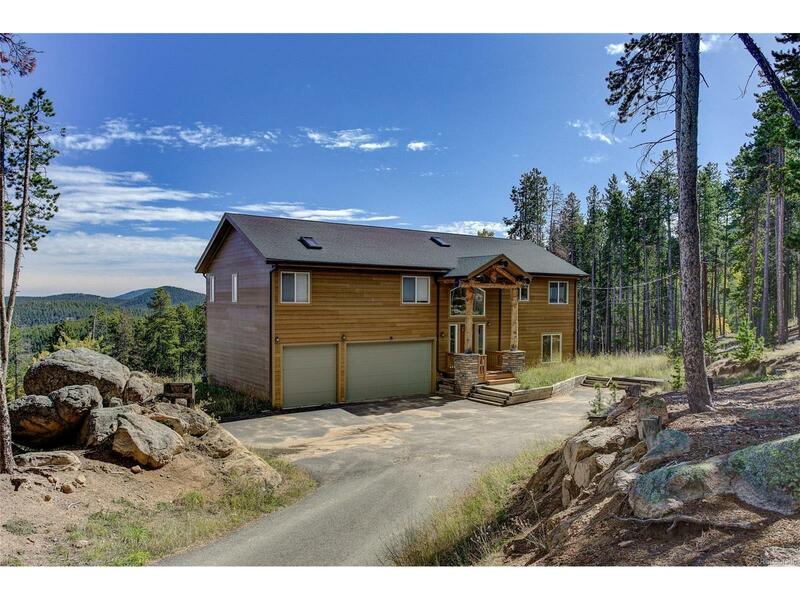 Gorgeous Colorado Home on 1 Acre with Fantastic Views of the surrounding Mountains! Fabulous Master Suite on main level(upper) with 5 piece bath and walk in closet. Large Deck overlooking the lot with Sunny distant views. Bonus Kitchen in lower level family room. Paved driveway with large 3 car garage! The home features 3 Bedrooms and 3 Full Baths, Radiant Floor heating, Wood Floors, 99% paved access, 2,284 Square Feet. This is an Exceptional find in the Mountains!